While I was experimenting with a receive-converter for 70MHz, I came to the conclusion that I need a versatile signal source. So, I imagined that building a (simple) DDS signal generator would be the next project inbetween developing my 70MHz transverter project. As I had absolutely zero experience with DDS chips, I started gathering information on the web and finding suitable DDS chips. For starters, I arrived at Analog Devices range of DDS chips, and the AD9835 to be more specific. 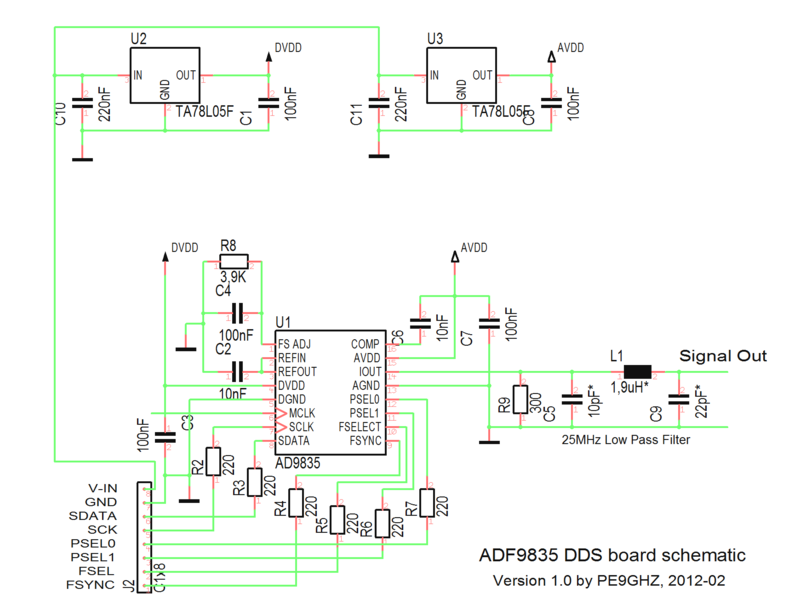 The biggest challenge is the form factor of the modern DDS (and PLL synthesizer) chips. I imagined/hoped that a TSSOP (4,4mm) chip would be feasable to mount on a d.i.y. 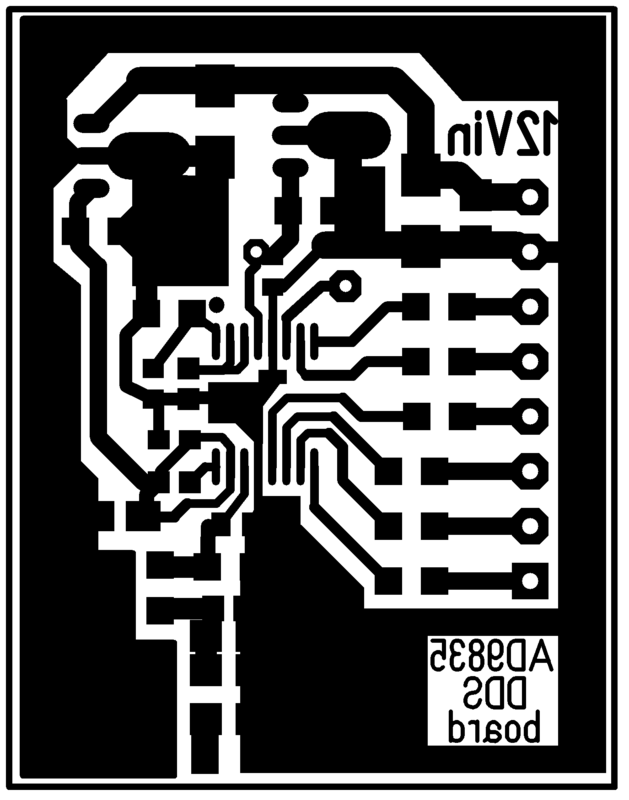 made PCB. 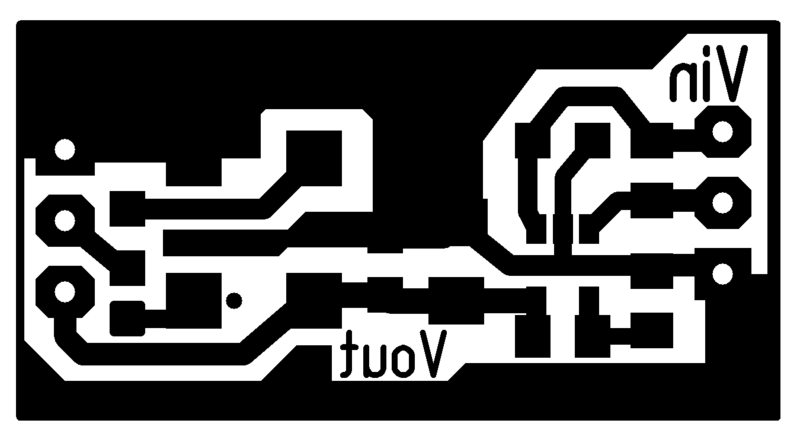 So I started designing some experimental PCB's and try produce PCB's and to mount some TSSOP chips. After some experimenting, and when it appeared to be possible to make a good sharp PCB with 0,3mm trace width, I started to gain some practice in mounting/soldering TSSOP chips to the PCB (using some heatgun-desoldered chips from an old PC mainboard). After viewing some video's on Youtube about how to solder TSSOP chips, I repeated the steps and the result was very satisfactory. 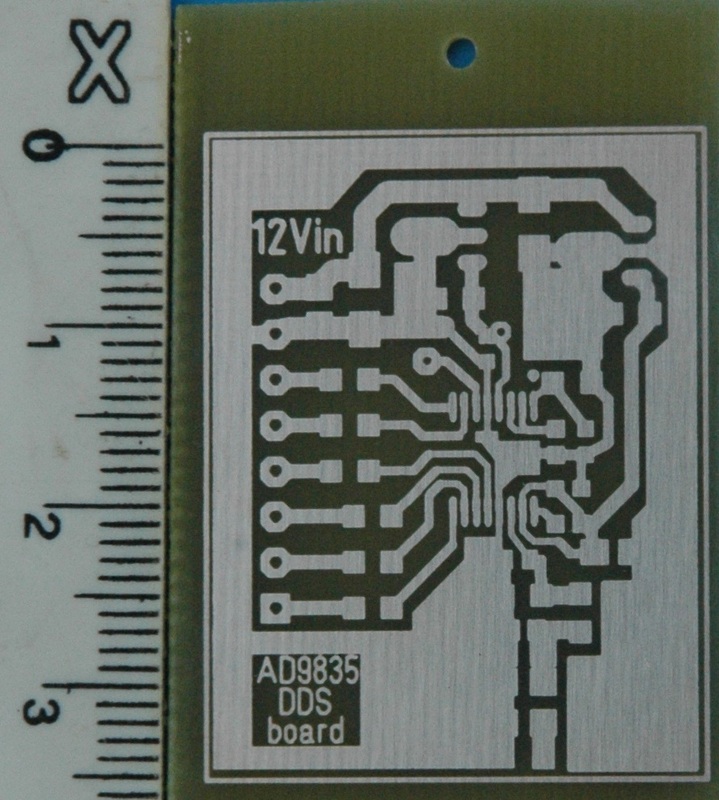 Notice that the MCLK (Master Clock) input of the DDS chip is not connected to anything. In the real world, this should be connected to a clock oscillator of maximum 50MHz. For space and design reasons, I planned this oscillator block on the back (copper ground plane) and the MCLK track ends in a pad.